""Yvonne did a wonderful job of helping us sell our home quickly and painlessly. We very much appreciated her extensive knowledge of the local neighborhood market, her responsiveness, enthusiastic attitude and attention to detail. We would recommend her in a heartbeat. Thanks Yvonne.' Roger (Elmhurst)"
""Yvonne took the time to present our house in the best light as well as having a complete understanding of the Elmhurst market. She also responded promptly to our texts and looked out for our best interest through the entire process. @properties was also helpful with their marketing materials." Ron (Elmhurst)"
""Yvonne was simply amazing! We had very difficult buyers to work with but she was very patient and provided us lots of great advises. She's always quick to respond and willing to go extra miles to make the process as smooth as possible. We're glad that we found her and highly recommend Yvonne to whoever looking to purchase or sell a property." Bryan (Elmhurst)"
""Yvonne came recommended to us by our lender, and it was a very good recommendation indeed. She is prompt and communicative, knowledgeable, and patiently worked with us over 5 months as we investigated houses, until we found our home. I would certainly recommend her to anyone in search of a new home." Jeffrey (Naperville)"
""This could not have been a better experience dealing with @properties and Yvonne. There was no nonsense when we looked at houses and she told us her thoughts and did not sugar coat anything. I will be recommending her to anyone who will be looking to buy in Elmhurst." Jim (Elmhurst)"
"I can not say enough about Yvonne! We first used her to buy our house-we we're moving to the suburbs from the city & she could not have been more knowledgeable about Elmhurst and every aspect of the real estate environment! Fast forward 13 years, we'd kept in touch as Yvonne remained an amazing resource turned friend....time to sell our house as we needed to relocate. There was no one else we considered!!! Yvonne walked us through everything we needed to do to prep the house for sale and put together a very thorough and aggressive marketing plan. Our house sold super quickly & for top price. She made the sale of our house, fraught with emotion, seem less. If you are looking for a consummate professional who knows the market inside and out and is a ball to work with look no further!" "Yvonne is the consummate professional and an extremely talented realtor. She knows the process inside and out and made everything easy for me to understand. As the seller, we had an interesting situation with an unrepresented buyer/neighbor that could have been a tough situation but went smoothly because of Yvonne's professionalism and skills. I would not hesitate in recommending Yvonne to anyone and would use her again in a heartbeat"
"Yvonne is an amazing real estate agent, she made my husband and I feel very comfortable searching Elmhurst until we found the right house for us. She is extremely knowledgeable about all aspects of home buying and an expert in the process. Yvonne is very familiar with Elmhurst and what is has to offer. I would highly recommend her, she is a true professional." "We were initially exploring options on our own, reaching out to agents for showings through apps. We hadn't had the best experiences with realtors in the past, so were planning to go it on our own. That's when we came across Yvonne. She knew the area extremely well, was able to steer us away from potentially risky locations, and was always responsive. We were house hunting with a toddler and another on the way, Yvonne was very accommodating to our schedule. She showed us every house we wanted to see, gave us options, and gave us valuable feedback that helped our decision making process. Our search evolved over time, and Yvonne was very flexible as our criteria, desires, and goals changed. Yvonne was also invaluable in providing references for local lenders and inspectors. We wound up using one of her recommended lenders who had the best rates and fees that we found. In the end, we wound up purchasing a home in a different area than we originally planned. We are very glad we did as it meets criteria that we didn't even know we had, and it's thanks to Yvonne. She has touched base with us even after closing to make sure our transition and punch list items were satisfactory. Yvonne's customer service is unsurpassed!I would highly recommend her to anyone looking for someone knowledgeable, responsive, and willing to provide useful feedback." ""We had a fantastic experience with Yvonne. This was actually our second time working with her. Our first experience she helped us sell our house in Elmhurst about 5 years ago and with her expert advice we sold the house in a day with multiple offers for a great price! When we moved back to the area, even though we were focused on another suburb (Oak Park) we wanted to work with Yvonne again because she had added so much value. She didn't disappoint! She was patient with our search and made it go much more smoothly and swiftly than I expected. We are now in our dream home in our dream neighborhood, and landed it for quite a deal! A house I thought was out of reach originally is now ours and Yvonne was a big part of that. We highly recommend Yvonne!!" Kathleen (Oak Park)"
"The Best, knows her business! Great Job Yvonne and thank you so much!" "Yvonne is simply the best! She helped us purchase the house and then was there again for us when we were ready to sell. She went above and beyond working with our relocation company to get the transaction completed. She's quick with a response and her calm and reassuring demeanor is always appreciated during what can be a stressful time. It's always great to find someone you can trust to work with and when it comes to real estate Yvonne is the realtor we trust!" "Yvonne is simply spectacular at this... She is the consummate professional and genuinely a joy to work with. She knows and understands her properties, communities, residents, and industry; stays abreast of all that is useful in current technology, but never bogged down with or by "trending" of any kind; she shows thoughtful sensitivity to your needs and concerns, whatever those may be; and is truly a dynamic broker that tailors her approach to the specifics of each property and client." "Yvonne was a great asset to us during our search sharing a lot of knowledge on the areas, providing expertise on the value/potential value and willingly giving us opinions which was desperately needed. She was also exceedingly patient with our very long search, maintaining the same level of attention, service and professionalism throughout. I would recommend her to friends and family in a heartbeat." "It was an absolute pleasure working with Yvonne. Her expertise, knowledge of the market, and great personality made purchasing our home a wonderful experience. She was extremely responsive and helped with every step of the buying process. I'd recommend Yvonne in a heart beat." "My experience with @properties was a pleasant one. Yvonne Despinich was very efficient, professional, knowledgeable and made you feel very comfortable and was always available when you needed her. Anyone looking to sell/buy a home, I highly recommend Yvonne. Again Thank you to @ Prooerties and Yvonne for all their work. Yvonne you get a five star rating in my book." "Yvonne Despinich is the best broker ever. She is an absolute pleasure to work with. She is very knowledgeable. She is patient and hard working at all times, and definitely fun to be around and she gets the job done. I would recommend Yvonne to everyone!" "Yvonne, was as professional as it gets. She was in touch at all times and worked her contacts in the industry. She had already sold a neighbors property and he thought very highly of her as well. We would recommend Yvonne to everyone! !!" "Yvonne was a fantastic agent and made my home buying experience smooth and as stress free as possible. She was very intuitive about what I was looking for in a new home. Yvonne was well informed about the market, responsive and professional. I would recommend her to anyone who is buying or selling a home." "To say excellent would be a vast understatement for Yvonne. She is accountable,timely,and honest. She made the entire process easy. Yvonne's expertise reassured us and gave us complete confidence in our home selling! Yvonne is the only name in Elmhurst Real Estate that we would ever refer." "We were so satisfied and impressed with Yvonne's knowledge, expertise, experience and professionalism! We had a beautiful home with a tough floor plan and with her experience, it was staged well and sold close to asking price. Yvonne is very personable and a delight to work with! We highly recommend Yvonne!" "The realtor was very efficient, always easy to contact, and very knowledgeable in real estate." "Yvonne was extremely knowledgeable and professional throughout the process. She provided excellent guidance for me as a first time home buyer and provided open communication and honest opinions. She was very flexible with schedule and helped arrange another broke (Cathy DeBernardis - who was also excellent to work with) when she was fulfilling other obligations. I would definitely recommend Yvonne to others!" "Rosa and I wanted to express our gratitude again for your hard work, support, and patience as we searched for our new home these past few years. You were always there to respond to our questions and concerns, bring us your perspective on the opportunities based on your deep knowledge of the Elmhurst market, and give us guidance as we went through the search and purchase processes.Thank you for helping us to find our new home. It was a long road but the trip was worth it. We are all excited by the prospect of moving in and enjoying our new home. It was a pleasure working with you. Thank you!" "We decided to ask Yvonne to help us sell our home because, simply put, she is the best broker out there. Her knowledge of the area and commitment to us was great. Yvonne helped us find our home and we had all of the confidence that she would be able to sell it. Within a day after our home was on the market, we got our first offer. We would recommend Yvonne to everyone." "Hard working. Professional. Intelligent. Responsive. Honest. These are the first words that come to mind when I think about our @properties agent Yvonne Despinich. Ours was a non-traditional home which presented some challenges, and Yvonne thoroughly researched comparable homes and provided knowledgeable advice and suggestions during our months on the market. She was extremely responsive (love the Showing Time app!) and excellent to work with. I recommend her to anyone looking to buy or sell their home in the Elmhurst community." "Simply put, Yvonne is the BEST! She did a fantastic job as our Realtor, both on the buying and selling side. She took the time to listen to what we wanted in our next home and guided us along the way patiently and professionally. She made both sides of the transaction as seamless as possible. Regardless of how busy she was, she always made us feel like we were her number 1 priority. If you are looking for a seasoned, caring, professional, knowledgeable and patient Realtor, we HIGHLY recommend Yvonne Despinich." "I highly recommend Yvonne because of her strong knowledge of the market, her ongoing communication with the seller, and her overall commitment to the process of selling a home! She provided us with endless support as we tried to sell our home. She kept us calm throughout the period of our sale and never gave up!" "Yvonne is a seasoned broker and knows the Elmhurst area very well. She was extremely helpful in navigating through the complicated process of buying a new construction property. She is always professional and it is fun working together with her." "Two words for Yvonne Despinich. Rock Star! From day one. Consumate professional. Smart. Knowledgable. And human. Would recommend her highly." "Yvonne is the perfect Real Estate agent, whether you are looking to buy or sell. As a seller, she will never push you to take an offer you don't feel comfortable accepting. She makes the whole process easy and stress free. As a buyer, she understands what you are looking for and will show you what you need to see, not only her listings and those of her office. She has a positive attitude, she is professional, responsive and involved in the process. It's impossible not to consider her a friend after you have gone through the selling or buying process. I highly recommend Yvonne, she will not disappoint." "My broker listened to the needs of what I was looking for in a home. She was available to answer any and all questions." "When looking for a realtor, what my wife and I liked when we first decided to meet with Yvonne to consider having her list our home for sale was her vast and proven experience in real estate as well as her very strong marketing background. We could not have been happier selecting her to represent us as we had numerous showings generated through her efforts that resulted in having our home in contract in a short time. In the end what probably impressed us the most was that Yvonne was both a timely and extremely effective communicator who was always proactive in resolving all issues that arose during the entire process. We can't thank her enough for all her hard work. We were totally pleased having engaged her services and highly recommend giving her a chance to put her professional skills to work for you." "Yvonne was extremely helpful and patient in our search for a new home. We just moved from another state and were unfamiliar with the area. Yvonne spent time educating us about the nuances of the area and listened closely to our needs. Yvonne responded immediately to any questions and always provided us with detailed information on properties of interest. We never felt pressured by her through out our extensive search. In the end, Yvonne found a home that met all our criteria and negotiated the purchase of that home in an expert manner. Throughout the whole process from viewing numerous homes to closing on our new home, Yvonne always had our best interest at heart and was extremely informative. Once our offer was accepted, she helped us put together a very competent team, mortgage company, attorney, inspector, etc. She also worked closely with the mortgage company, inspector and attorney making sure the process moved smoothly to get to our closing date. I felt assured she was always looking out for us and working in our best interest. I would definitely recommend Yvonne as she possesses professionalism, warmth and an extraordinary knowledge of the market." "Yvonne was wonderful to work with in every way. Her knowledge of the Hinsdale real estate market and her professionalism make her a tremendous asset for @properties. I would highly recommend her and work with her again in a heartbeat!" "Simply put, Yvonne is the BEST! She did a fantastic job as our Realtor, both on the buying and selling side. She took the time to listen to what we wanted in our next home and guided us along the way patiently and professionally. She made both sides of the transaction as seamless as possible. Regardless of how busy she was, she always made us feel like we were her number 1 priority. If you are looking for a seasoned, caring, professional, knowledgeable and patient Realtor, I HIGHLY recommend Yvonne Despinich." 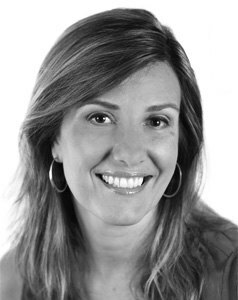 "Yvonne is highly professional and has extensive knowledge of the Elmhurst real estate market and community. Her warm and friendly demeanour made our first home purchase a pleasure during a time when homes were selling quickly. She took the time to get to know my husband and I, thereby allowing her to find us a home that matched our needs. She exhibited great patience in providing us with all the answers we needed in order to assist us in our decision making process. She also referred us to many of the necessities in life when settling in a new home - doctor, dentist, eye doctor, painter and handyman. When after 11 years it was time to sell our first home, Yvonne sold it in 2 days during a difficult period for home sales!" "I was going through a divorce last year and needed someone very internet savvy to get my home sold at a decent price and within a year. Many residents and friends recommended Yvonne as the best agent in town. She did not disappoint and she was very fair to all parties involved. I never felt uninformed or out of touch. Her responsiveness was unbelievable and Yvonne got my house sold and handled all the final details. You will enjoy her knowledge of the current market and you will especially appreciate her eagerness to either sell your home or find you the perfect place. JK"
"As delighted as we are that our brand new home project is underway, we are suffering from "Yvonne withdrawal." Your unflagging dedication to us as we struggled to make decisions put you up there in the "Goddess" category. The months you invested in us won't be time wasted. We offer you our friendship, our enthusiasm to be a reference for you, and our big mouths as we rave about you to others!" "There is no one else we'd work with! Yvonne develops, markets and sells Elmhurst's most exclusive properties. She is service oriented, taking great pride in her strong referrals from past clients. Yvonne gives the best service and most qualified advice to buyers and sellers. Implementing honesty and integrity at the highest level possible, she is passionate about the real estate business. Putting her experience to work for us was the best decision we ever made!" "Yvonne made our transition from the East Coast to the Midwest easy and exciting. We had one day to look at homes, and she had done her homework, serving up over 20 houses that met our criteria. We found our dream home in one day, and she did a great job negotiating the contract between us and the builder, coming up with ideas we would never think about. When I had to make a trip out here to select items for the house, Yvonne went above and beyond the call of duty by picking me up at the airport, and driving me from the kitchen place, to the tile place, to the lighting place, etc. She was a great source of information, even putting me in contact with a fabulous decorator to help make selections for our new home. Whenever we needed some intervention between us and the builder, she was there for us, and got the job done. We cannot say enough about Yvonne's friendliness, her dedication to us as clients, and her overall knowledge of the buying/selling process not to mention her expertise in the Elmhurst/Hinsdale area. We would not hesitate to recommend Yvonne, or to use her ourselves for our next move." "It was the luck of the draw that we connected with Yvonne. Yvonne Despinich has since been involved in five real estate transactions with us and has helped our three daughters find their first family homes. Over the years (10 years since our first Yvonne buy) she has attended numerous family celebrations, including weddings and showers. Yvonne is truly a "go above and beyond" realtor. She always made herself very available when we frantically wanted to see a home. She easily gains your trust as she works hard for your interests. We are thrilled to offer her name to anyone looking for a realtor. Yvonne is no longer just our realtor, but a valued family friend." "We worked with Yvonne for about two years until she found the perfect property for us. She also helped us find a rental property and select a builder. She is very knowledgable about the community, responsive and hardworking. She did a great job negotiating with the seller on our behalf. I would highly recommend Yvonne when buying or selling a home!!" "You were a special lady with incredible talents in dealing with difficult situations. Trust me, you're the BEST!" "You make me wish I had a dozen houses in Elmhurst to list with you! You made such a demanding experience (almost) a joy." "Yvonne was extremely helpful and patient in our search for a new home. We just moved from another state and were unfamiliar with the area. Yvonne spent time educating us about the nuances of the area and listened closely to our needs. Yvonne responded immediately to any questions and always provided us with detailed information on properties of interest. We never felt pressured by her through out our extensive search.In the end, Yvonne found a home that met all our criteria and negotiated the purchase of that home in an expert manner. Throughout the whole process from viewing numerous homes to closing on our new home, Yvonne always had our best interest at heart and was extremely informative. Once our offer was accepted, she helped us put together a very competent team, mortgage company, attorney, inspector, etc. She also worked closely with the mortgage company, inspector and attorney making sure the process moved smoothly to get to our closing date. I felt assured she was always looking out for us and working in our best interest.I would definitely recommend Yvonne as she possesses professionalism, warmth and an extraordinary knowledge of the market."